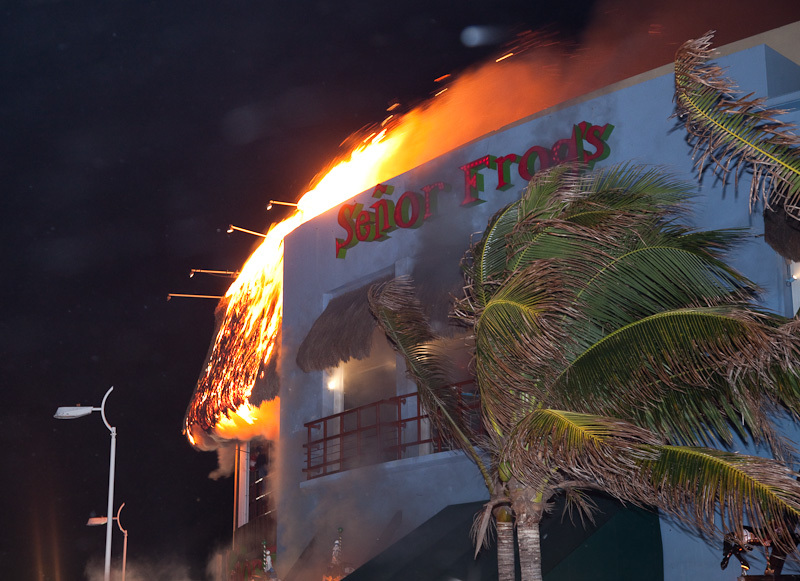 The Fat Tuesday parade in Cozumel's Carnival was halted a while last night while firemen put out the Senor Frog's fire. Fireworks into a thatched awning started things and a stiff breeze fanned the blaze. Most of the damage was to the exterior and the party continued.